The sun is brutal, the moon is mocking, the stars are terrifying. But Saturn, spinning in its lonely rings, is kind. If you live in a city and go outside every so often, there’s a decent chance that you might have, unknowingly, walked straight past someone who believes that you have personally laid eyes on Satan. The devil of Christian mythology — the one with the goat’s horns and the woman’s breasts, the adversary of God and humanity, the stinking and shuddering principle of evil — you have seen him, and again you didn’t even know it. You have seen the devil glimmer faintly in the night sky. You drew pictures of him as a child, or made papier-mâché idols, while your teachers grinned down on you. You have seen gorgeous photographs of the deceiver, the iridescent storms swirling infinitely deep on his surface, his crown of rings, his delicate lollipop bands — and maybe, with impossible eyes, he looked back at you. Satan isn’t just real; he’s a physical object, a thing with weight and dimensions, directly visible from anywhere in the world. He’s the planet Saturn itself. And on September 15, a tiny, rickety, unmanned spacecraft, sent into orbit 20 years ago by the perishing mortals of Earth on a mission called Cassini-Huygens, collided with the Prince of Hell and burnt into nothingness in its upper atmosphere. This — the theory that Saturn is the devil incarnate — is something of a minority opinion, probably more widely believed than the flat-Earth theory, and less than the hypothesis that we’re ruled by shape-shifting lizards from outer space. But it has some high-profile evangelists. David Icke, for instance, the former British footballer who became the world’s most prominent defender against the coming of the lizard-men. 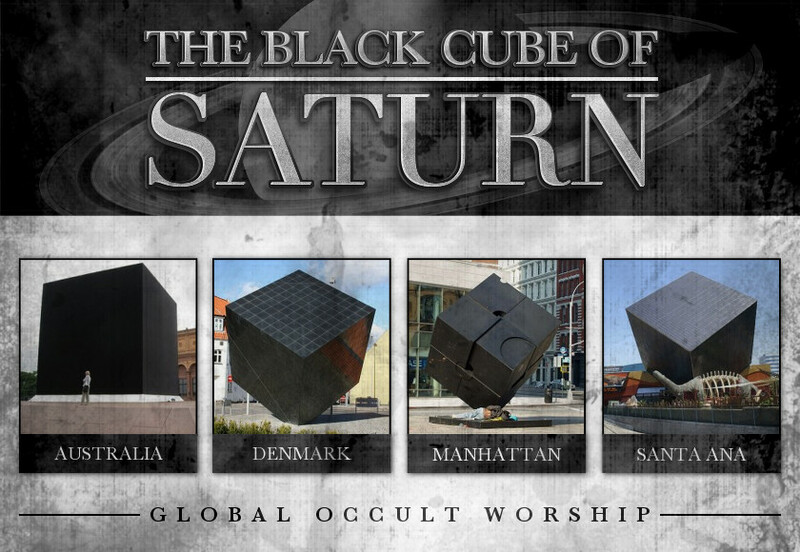 “Saturnism,” he told a crowd at London’s Wembley Arena last year, “is Satanism.” When the slit-eyed tongue-flicking elites worship their devil, they’re actually directing their prayers the sixth planet from the sun, the haunt of gloom and catastrophe. As well as the secret kingdom of the reptile-people, Icke believes (or claims to believe) that the Moon is an artificial satellite beaming a mind-control ray towards our planet. The source of this signal, however, is in Saturn. Icke’s revelations are ringed by untold thousands of tumbling microtheories, shuddering in the void: YouTube alone has some 150,000 videos on the subject. Many grab elements from the works of Immanuel Velikovsky, the Russian psychoanalyst who emigrated to the United States in 1939 and quickly set himself up as a bestselling crank astronomer and mythologist. Saturn, Velikovsky wrote in his later years, was once the Earth’s sun, the focus of its orbit, and the god of its people, until some sort of catastrophic event occurred within recorded history. Others are based on original research: speculative readings of the Bible, novel interpretations of ancient Mesopotamian reliefs, bold and innovative new etymologies (why does Saturn sound so similar to Satan, anyway? ), and exhaustive slideshows of corporate logos that appear to incorporate Saturn’s rings into their designs. Still others claim personal experience: in one sadly now-deleted video, a woman claims to have been kidnapped by the Illuminati and taken to their temple on one of Saturn’s moons. But all accounts end up orbiting around the same terrifying final revelation. This solar system is harboring an ageless evil; it revolves around our own sun, breathing across the star-pox blackness of space, right down our necks. Six points. Six lines. The sixth planet. Just what is going on? People have always distrusted Saturn. For 5,000 years it’s been a symbol of age and death and misery. But the present-day theorists of its evil have proof. In its 13-year orbit of the planet (it took seven years for the spacecraft to reach Saturn's orbit, although it made some stops at other planets along the way), the Cassini mission, a collaboration between NASA and the space agencies of Italy and the European Union, saw incredible things. Flickering aurora-lights dancing over Saturn’s poles; towers of ice and rock hanging like stalactites from the edge of its rings, vast jets of water vapour escaping from the surface of its moon Enceladus, honeyed sunlight glinting off the lakes of Titan. But it also showed us something terrifying. On Saturn’s north pole, there’s a vast, seemingly permanent storm, twice the size of Earth, rotating perfectly in time with the intense radio waves that blare out from the planet’s core, and shaped like a flawless hexagon. Six points. Six lines. The sixth planet. Just what is going on? Saturn is weird. It has its incredible soaring rings, which have become a kind of signifier of the superlunar universe in general, the first sign to the lonely and Earthbound that this world is stranger and its ways more unknowable than we could ever understand. (The rings have also attracted their share of bizarre theories. Among the infinite claims are the ideas that they hide a service station for UFOs, or that they form part of a vast computational system that interacts with electromagnetic radiation from the planet’s core. The very best, however, is attributed to Leo Allatius, a seventeenth-century Vatican librarian: he wrote that Jesus’s circumcised foreskin must have ascended to Heaven at the same time as the Christ himself, and that it was placed around Saturn as a kind of grisly cosmic ornament.) Saturn emits more radiation than it receives from the sun. It’s the least-dense planet in the solar system, and possibly the oldest; its moons might, just possibly, contain something like life — something squiggling and Earth-like in the buried liquid water of Enceladus, or something utterly and unknowably strange, moving in ways that are impossible to imagine, living furiously between the methane skies and ethane seas of Titan. Saturn is impossible. But everywhere in the universe is weird. The moons of Jupiter are just as bizarre, and its storms just as eternal; it might turn out that the weirdest place of all is here on Earth, where the strangeness of everywhere else is concentrated and collected, where anonymous people believe that you’ve been in unknowing communion with the devil. Saturn is at its weirdest on our own solid ground: not astrophysically anomalous, but weird within history. Of the five extraterrestrial planets known to classical civilization, Saturn is the only one not named for a god. The Greek Kronos, Romanized as Saturn, was a Titan: one of the earlier generation of the divine, the straining ones, still half-mired in primordial chaos. Kronos castrated and killed his own father with a sickle; the streams of blood that fell from his testicles became the avenging Furies. On being told that one of his own sons would overthrow him in the same way, Saturn ate them living as soon as they were born. Rubens’ 17th-century depiction of the massacre has the ancient Saturn tearing into the flesh of his newborn with teeth and fury; Goya in the 19th has his staring through his prison of paint in wide-eyed and desperate madness, his mouth abyssal, looking directly at us — also his descendants, also his meal. It didn’t save him. Zeus, his son, sliced the Titan’s belly open, and the gods were born again. Leo Allatius wrote that Jesus’s circumcised foreskin was placed around Saturn as a kind of grisly cosmic ornament. Saturn is the most distant planet visible with the naked eye, and the one that moves slowest across the sky; no wonder the Greeks identified it with the personification of old age, time, and death. Not fixed in happy eternity with the stars of the constellations, not buzzing in potent activity with the planets, Saturn is a vanishing, exhausted pinprick, an exile from every world. One of the earliest surviving astrological descriptions of the planet comes from the Astronomicon, a first-century poem generally attributed to the Roman poet and astrologer Marcus Manilius. Saturn is banished to the converse cardine mundus, the “opposite end of the world’s axis” — it rules the foundations of the universe, where it’s held up as a cosmic mirror against Earth: its day is our night, and from its backwards-perspective, what is good for us might well be evil, and what is evil good. Saturn was not a devil, not exactly, but it circled far from the Central Fire of the mystical pagan God, and it embodied a sense of dangerous, destructive reversibility. Sons castrating fathers, fathers sliced open by sons. A counter-Oedipus, the inversion of the right way of doing things; the terror of a long-dead world. Christian Europe was no kinder to poor old bedraggled Saturn; it was in the Middle Ages that the planet became the star of melancholy. The moon might cause lunacy, hanging fat in the heat and madness of the night, so close you can almost reach out through the clouds and touch it — but sadness is cold and pitiful and very far away, the last child of Saturn. Even today, people can carry the traces and influences of gods and planets. It’s in our language. A mercurial person flits like the innermost planet around the Sun, while the venereal person is lubricious after Venus, the martial warlike after Mars, the jovial regal and good-natured after Jupiter. The saturnine person comes shrouded in euphemisms. Today, we would say that a saturnine person has depression. You see them portray'd in the sky. The sadness of Saturn wasn’t just a historical metaphor, carried through time on the backs of Greek gods or alloyed into mere symbols. For a heavy chunk of time up until the beginning of the Enlightenment, metaphors were held to be literally true; they revealed something essential about the way the world worked. There was a mechanism at play; you could navigate the world by similitude. A plant that looked like a particular part of the body would cure its diseases; a planet impossibly distant from the Earth would make itself known in the interior distance of misery. This is what C.S. Lewis describes in The Discarded Image, his 1964 elegy for the vanished world of the past, as the medieval “Model,” the vast system that explained the interrelations between everything, from the grand wheel of the stars to the footfalls of malicious fairies in the woods. Nothing is simply itself. Every thing is also a sign, every particle of the universe a map of its whole, and “man can be called a microcosm.’ Here the world is ordered by its ‘sensible qualities:” hot and cold, moist and dry. Saturn is cold and dry; therefore it has a particular sovereignty over the season of winter and the metal of lead, which are also cold and dry, and of the four humours in the body – blood, phlegm, black bile, and yellow bile — it’s identified with black bile, which is cold and dry too. And too much black bile — or, in Greek, melaina chole, melancholia — in the body is the cause of sadness. Sadness first. But by sympathies and associations, everything that is dying and in collapse, festering with unhealthiness or glistening with malice, came to be concentrated in the faint dim of Saturn. The half-pagan world-map of the pre-modern era had to find a way to accommodate the presence of evil in the world. Contemporary civilizations can delude themselves into thinking that the cosmos is fundamentally good and beautiful, but the Middle Ages had no such illusions. Saturn stood as a symbol of the world’s fundamental hostility to human life. The fury and murderousness of Mars could be harnessed for holy wars, but Saturn is mere collapse, the interior nothingness of things. It’s time, castrating and castrated, which grinds the whole world inevitably to dust. An apolitical, existential evil. Even the somewhat bloodless astrological catalogues of the late Renaissance found themselves, when it came to Saturn, itemizing the rich decrepitude of life. In William Lilly’s 1647 Christian Astrology, Saturn has its familiar animals and its sovereign places. “Crocodile, Scorpion, Toad, Serpent, Adder, Hog, all manner of creeping Creatures breeding of putrification, either in the Earth, Water or Ruines of Houses.” “Deserts, Woods, obscure Vallies, Caves, Dens, Holes, Mountaines, or where men have been buried, Church-yards, &c. Ruinous Buildings, Cole-mines, Sinks, Dirty or Stinking Muddy Places.” Poisonous animals; places that were Gothic before there was such a name. And suffusing them like sandstorms in the deserts or miasma over the mud, Saturn rising. The planet Saturn is the highest and the greatest and the most worthless, and it is cold and dry and the slowest in his course. The planet is hostile to our nature in every way and stands over to the east, and is a planet of wicked and worthless men who have no beard, and white hair, and who wear unclean garments. […] The hour of Saturn is the hour of evil. In that hour God was betrayed and delivered to death. Modern-day conspiracy theorists might not realize that this is their heritage. They prefer to talk about the hidden mysteries of Egypt and Sumeria, rather than admitting that their shocking new revelations about Saturn are just the orthodoxies of a not-too-distant age. But there’s something familiar in their method. In his 1966 book The Order of Things, Michel Foucault surveys the intricately signifying world of the pre-classical era, with its fractal symmetry between the cosmos and the human soul. “There is nothing now,” he concludes, “that still recalls even the memory of that being. Nothing, except perhaps literature.” He was wrong. Conspiracy theory works in the same way. But this isn’t to say that the YouTube theorists are just atavisms, stuck in the irrationality of the past. This mad system of signification, with every sign determinate and eternal, can do something that our usual language can’t: it can express evil. The positivist scientific vision of the world has no room for actual cosmic malice; the denuded language of post-historical liberalism can only see what’s wrong in the world as an absence, a caesura, someone or somewhere that’s just been left behind by all the lovely progress we’re enjoying. In our dominant discourses, evil is voiceless and unsignifying. David Icke and his followers might be wrong about the demonic hexagon and the secret worship of the lizard-men, but they’ve right about one thing that the world does not want to admit. Evil really is here, and it’s woven itself tight into all our structures of meaning. Saturn is gone now. It came into view slowly — Galileo and Huygens with their telescopes, discovering that the star of melancholy had rings and moons and was beautiful; the Pioneer and Voyager probes reaching out to meet an old god face to face. Its disappearance was more sudden. The last images sent by the Cassini probe last month show the planet, enormous and ridiculous in so much endless space, growing bigger and blurrier as the spacecraft hurtles towards its disintegration. The very last is strangely sombre. Rolling bulk, the sand-scratch fringes of its rings, turbulent, pale, incoming death. We may well never go back. The Earth has taken a saturnine turn of its own; putrefying, collapsing into its own exhaust, on the edge of exhaustion; we are at the hour of evil. Ever since the Cassini probe shattered into fragments in Saturn’s upper atmosphere, the planet stopped being something close to hand, its storms and calms visible in heartbreaking detail. It’s a tiny gleam in the sky again, drowned out by the buzzing of city lights, a creature of myth. But now that Saturn is lost to the astronomers, we have a chance to reconsider its myth. I’ve always liked Saturn more than anything else in our sky — not despite its long associations with evil and death, but almost because of them. In my own grim dead times of depression, the sun is brutal, the moon is mocking, the stars are terrifying. But Saturn, spinning in its lonely rings, is kind. Unlike so much of our universe — tumbling unknowable rocks, chasms of nothing and points of deadly light — Saturn has a touch of the sadness and gentleness of an impossibly distant friend. And this is something that the writers of the past, even as they condemned Saturn as the source of all rot, seemed to have tacitly recognized. Saturn is upsetting because in its frailty, it’s so familiar. As Manilius said, Saturn is a kind of cosmic opposite of the Earth, a mirror in the void, reflecting our own selves into eternity. It is, our ancestors decided, cold and dry — like black bile among the humours, like winter among the seasons. But among the elements, like earth: not the planet, but the stuff under our feet; intimate and whole, the soil falling in chunks from between your fingers. Saturn is close. It whispers. Even in modern-day astrology, Mercury rules money, Venus rules love, Mars rules war, Jupiter rules lordship itself: things that are vast and abstract; events playing themselves out in the grand stupidity of the world. Saturn is different. It’s there in the hopeless moments, hovering invisible in the sky; its faltering light washes over dark forests and loneliness and age. It nestles itself right beside you, and ever so tenderly, it makes you sad. Sam Kriss is a writer.